It's been a while since I posted and for the month of March I haven't felt as though as I've had much to show for myself. It's not that I haven't been busy or I haven't been writing, I've just been working very hard on things. I finished the revisions on Operation: Montauk and I'm very, very happy with how far its come. It's still on schedule for a release at Origins. Speaking of Origins, there are a couple of collections I've been asked to participate in that will see release then. The first is the Origins Anthology. I've submitted what I think is a very fun science fiction short story that will appear in print along side authors like Aaron Allston, Mike Stackpole, Janine Spendlove, and RT Kaelin. I'm very excited about the piece I submitted for the collection, and I can't wait to see it along side the others. The other project is a sort of text book on building worlds. I'm not sure how much I can say about it at this point, but I'm very happy with my contribution. If all goes well, both of these collections will be on my table at Origins and everywhere thereafter. 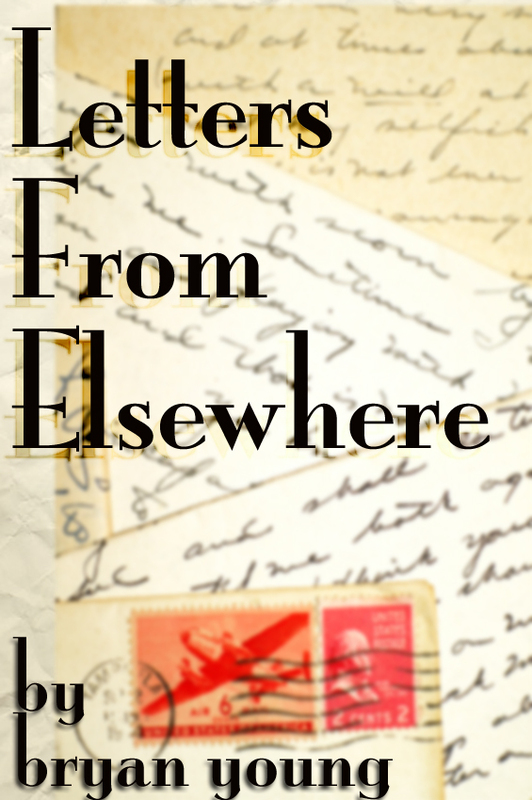 Each of these pieces is fashioned as a letter, postcard, or other correspondence.Letters From Elsewhere is the latest four story collection from writer and filmmaker Bryan Young. Each of these pieces is fashioned as a letter or postcard. You can pick it up on Amazon here. The Nook version is forthcoming (sometime today). I would very much appreciate your support in checking it out. I really like this collection for a lot of reasons and I hope you'll enjoy it, too.